Teaching is Hard!!! Students doing lessons all week and a week before break creating bellworks, objectives, a lesson, and an activity. Below is students creating an ilearn site and students working through the work. Done by Hassan Chokr and Mohamad Dabaja. Students will demonstrate an understanding of how topics from Congressional Power to Foreign Policy by working with a partner to read and think how they will be teaching the class their two sections assigned. Language: Students will listen and generate questions about their topic they will teach the class to better understand the requirements, including SAT style bellwork or MSTEP review ?’s, create objectives, and include key vocabulary from each section in their lesson. 3-Arwa, Ali A, Maya M.
6- Wael and Waleed and Malak Z. and May and Fatime S.
🙂 Let us review!! Welcome new Dearborn Public School teachers. Teaching as a new teacher is hard but rewarding and I have confidence in all of you as your Principal Altomonte you will teach and succeed in creating a lesson that engages and empowers students to learn and want to be involved in the government in some form. Find your House of Representative at the Federal level at the link below. Fill out the Member profile sheet to come ready to search your committee tomorrow and write if your committee is going to fund the activity. To find Demographic and Major Corporations Data use the link below. You need to know your state and district number to find the information. Content: Students will demonstrate understanding the legislative branch by inferring about the Mongols, pulling out a golden line from book talks, charting about the organization of Congress, and then reviewing their Gerrymandering homework activity as a whole group and individually. 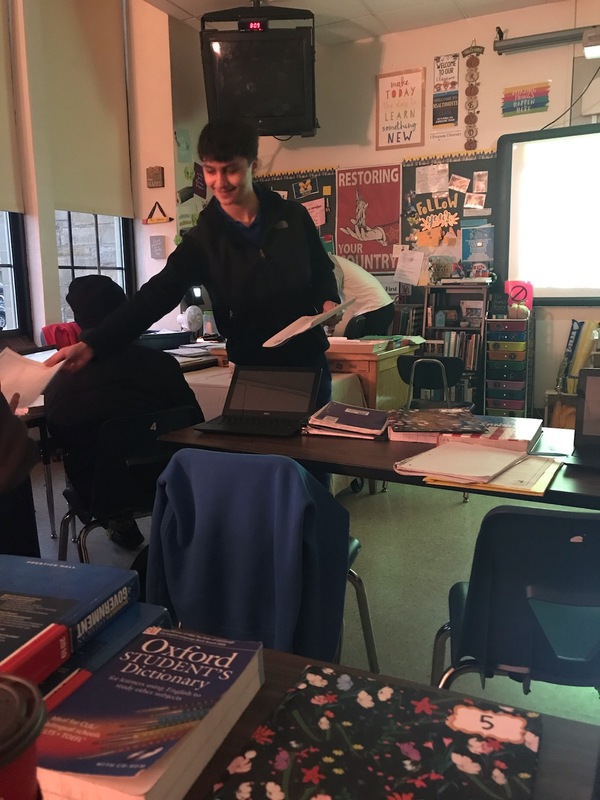 Language: Students will write to describe the Mongol Empire by using test-taking strategies, what was their takeaway from book talks, and using key vocabulary words in a structured charting format. Content: Students will demonstrate applying knowledge of Interest Groups by taking Cornell Notes individually. Language: Students will write to provide reasons to add supporting details using Cornell Notes for Interest Groups. What’s Going on at FHS? 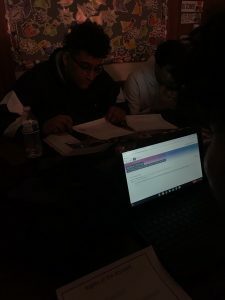 Content: Students will demonstrate applying knowledge of Interest Groups by providing their top three they would like to research, creating a Frayer model and demonstrate an understanding of key vocabulary by putting it in a mini-paragraph and taking Cornell Notes with partners and individual. Language: Students will write to provide reasons for putting their key vocabulary in a mini-paragraph and using Cornell Notes to add supporting details for Interest Groups. Content: Students will demonstrate comprehension of SAT-style questions, take Cornell notes for the Election and Voting Behaviors and put the events in a thinking map. Language: Students will listen to provide questions to ask about presentations, and the electoral process using complete sentences. What’s Going on in FHS? Why is today Important?! The milestone in Social Studies? Which statement about the unjust killing of innocents is represented by the graph? The main point of the passage for Lee Wilkens is too. 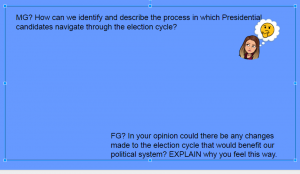 Content: Students will demonstrate comprehension of test-taking strategies using SAT questions, the history of voting rights by taking Cornell notes, create a timeline, take Cornell notes for the Electoral Process and put the events in a thinking map. Language: Students will listen to provide questions to ask about presentations, history of voting rights and electoral process using complete sentences.